Usually our blog posts focus on one particular area of the selling process, but this time, we’re taking a step back and looking at the big picture. Managing a sales operation can seem like an impossible task because it incorporates so many different concepts and tactics. However, we find it is much easier to grasp the selling process if you break it down into pieces. Insight provides the foundation for everything else sales does, and it involves researching your customers and competitors. The key here is that you must do actual research — not just rely on internal opinions and gut instinct. 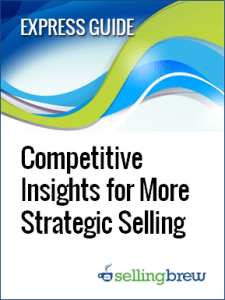 A couple of resources that explain in more detail include Competitive Insights for More Strategic Selling and 17 Insights That Improve Close-Rates & Margins. Targeting requires you to use that research to decide who you will sell to — and who you will avoid. It’s counter-intuitive, but deciding which prospects you will avoid may be one of the most profitable decisions you ever make. To learn more, check out Targeting Your Most Profitable Prospects. Messaging doesn’t get nearly as much attention from most sales operations professionals as it should. It is absolutely critical that the sales team deliver messages that are relevant, compelling, and focused on the differential value of your product or service. We cover this more explicitly in Crafting Effective Strategic Value Messages. Pricing in B2B markets is incredibly complex, but also extremely important because price, more than any other element, determines margins. You can undo all your hard work in each of the other areas of this framework if you are missing price targets by just one or two percent. If this is an area where you could use a refresher course, watch The Fundamentals of Effective Pricing for Sales Operations. Expansion is something a lot of sales teams talk about but few actually do. Once you land a new customer, the sales job isn’t over. The next step is growing that account to achieve maximum profitability. To find out how to do that, see Generating More Sales from Existing Customers. Retention in B2B sales require non-stop vigilance. Your competitors will always be trying to steal your accounts, so you need to be pro-active in identifying and addressing any customers that might be at risk for defection. Key tactics and strategies are discussed in How to Retain Your Key Customers. Systems provide the lynchpin that holds the entire framework together. The right tools, technology, and processes can help your sales operation become far more efficient and effective. 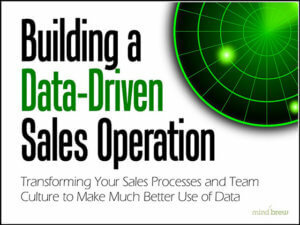 Check out Building a Data-Driven Sales Operation to explore this topic in greater depth. You might not work on each of these seven areas every day, but they should all be on your weekly and monthly radar if you are going to build a best-in-class sales operation. More importantly, if a particular task or request doesn’t fit into one of these, that’s probably something you can ignore while you work on more important areas. For strategic selling, playing against your competitors' features, functions, and price-points isn't enough. This video guide explains how to win more often by gaining a much deeper understanding of your competitors. The more your team knows about how your prospects perceive the marketplace, the better the chances are for success. This guide provides the key prospect insights that can improve close-rates, margins, and long-term customer values. In this tutorial, learn a six-step strategic process for increasing your odds of success in the marketplace by understanding which prospects you should target...and which ones you should avoid. 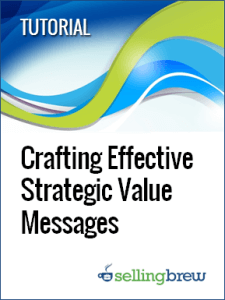 This tutorial shows you how to get beyond the platitudes and develop compelling messages that highlight your differential value. Many B2B companies struggle to identify untapped sales opportunities and maximize revenue from the customers they've already acquired. In this four-part recorded training session, learn what leading sales operations are doing differently to grow share-of-wallet with existing customers. When you lose business from existing accounts, the sales team must acquire even more new business to compensate. In this on-demand training session, learn about seven innovative strategies leading sales operations are using to minimize revenue attrition and customer defection. How do you get an organization to move away from the status quo and actually embrace doing things differently? How do you foster true adoption, as opposed to merely forced compliance? Given the organizational dynamics involved, effective change management requires a more strategic approach. Fixing poor pricing and discounting practices can seem futile. And playing bad cop isn't much fun. 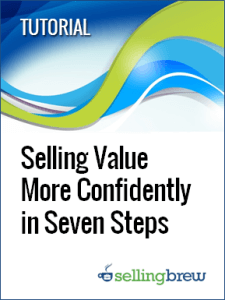 This tutorial shows you how to build a "system of influence" that gets your salespeople to police their own pricing and discounting behaviors.